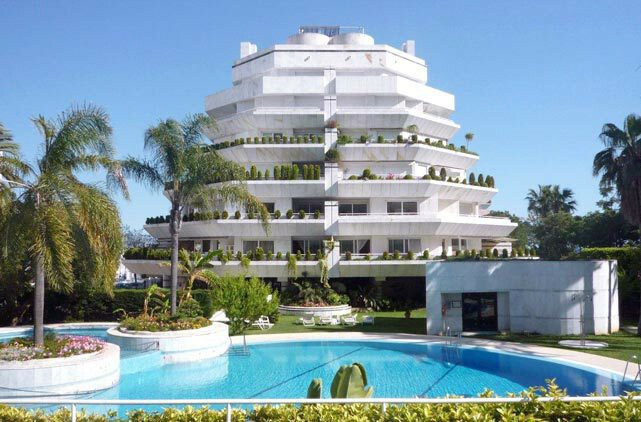 EUR 4900000 Puerto Banús Costa del Sol Spain Penthouse, Puerto Banús, Costa del Sol. 3 Bedrooms, 3 Bathrooms, Built 319 m², Terrace 237 m². 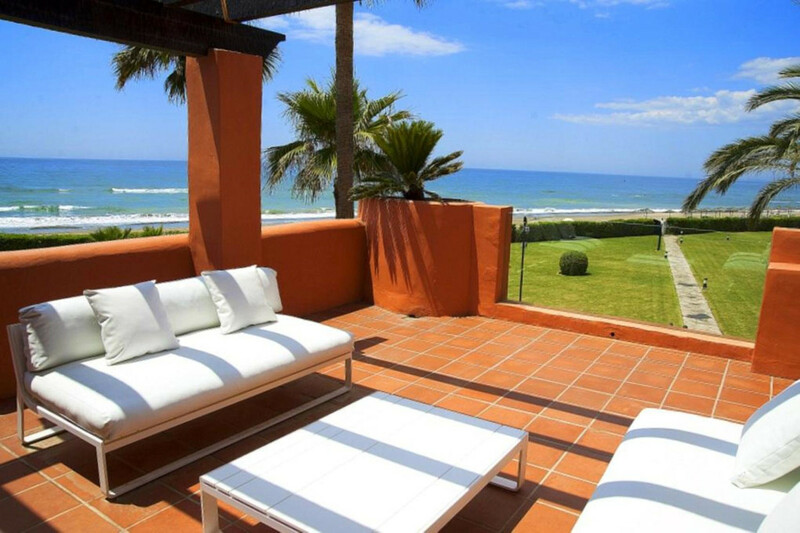 Setting : Beachfront, Commercial Area, Close To Golf, Close To Shops, Close To Town, Close To Schools, Close To Marina, Front Line Beach Complex. Orientation : South. Condition : Excellent, Recently Refurbished. Pool : Communal, Private, Indoor, Heated, Children`s Pool. Climate Control : Air Conditioning, Hot A/C, Cold A/C, U/F/H Bathrooms. Views : Sea, Beach, Panoramic, Pool. Features : Covered Terrace, Lift, Fitted Wardrobes, Near Transport, Private Terrace, Solarium, Satellite TV, ADSL / WIFI, Gym, Storage Room, Utility Room, Ensuite Bathroom, Marble Flooring, Jacuzzi, Double Glazing, 24 Hour Reception. Furniture : Fully Furnished, Optional. Kitchen : Fully Fitted, Kitchen-Lounge. Garden : Communal. Security : Gated Complex, Electric Blinds, Entry Phone, 24 Hour Security, Safe. Parking : Underground, Private. Utilities : Electricity, Drinkable Water, Telephone. Category : Beachfront, Luxury, Resale, Contemporary. 3 Bedrooms, 3 Bathrooms, Built 319 m², Terrace 237 m². Setting : Beachfront, Commercial Area, Close To Golf, Close To Shops, Close To Town, Close To Schools, Close To Marina, Front Line Beach Complex. Features : Covered Terrace, Lift, Fitted Wardrobes, Near Transport, Private Terrace, Solarium, Satellite TV, ADSL / WIFI, Gym, Storage Room, Utility Room, Ensuite Bathroom, Marble Flooring, Jacuzzi, Double Glazing, 24 Hour Reception. Category : Beachfront, Luxury, Resale, Contemporary.